Blank Cards add a fun touch to all your notes and letters. Write your own message for any occasion inside a blank greeting card from Leanin' Tree. Tell a friend you're thinking of them, write a special thank you, or simply keep in touch with a short, personal note. Blank cards with colorful envelopes are great to have on hand for any card-sending occasion! 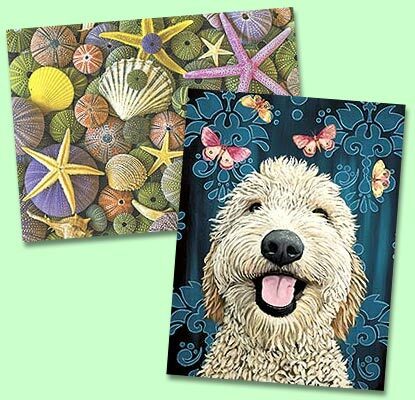 Don't miss Blank Note Card Assortments and Blank Note Card Sets as well.